I was heading back to Klub after an afternoon of saying goodbye to a friend who’s heading home for the summer when I saw this. 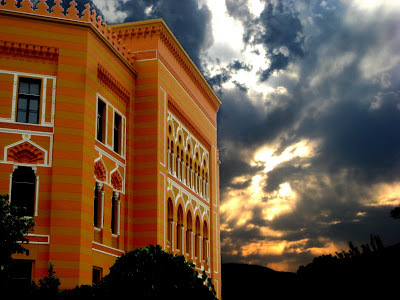 You might recognise the Gimanzija building from my earlier video but I knew the (digitally enhanced) dramatic cloudscape would make for an exotic image. So here it is...enjoy!